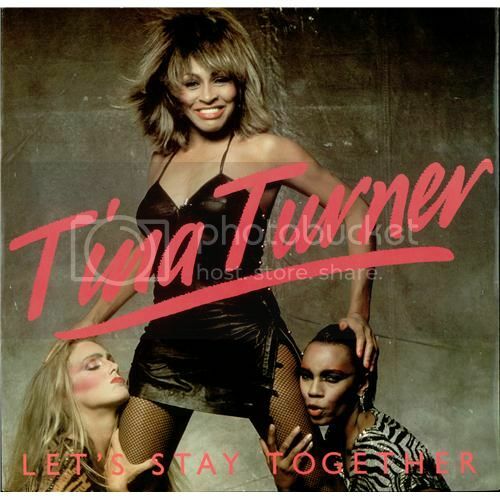 DeepSoul: Tina Turner - "Let's Stay Together"
Remember Tina Turner's comeback single? Chances are it's not the track you think. The story has gone down in rock legend: Tina Turner overcame years of domestic abuse, slowly rebuilt her career, and returned to the top of the charts in 1984. Her comeback album Private Dancer spawned an astonishing number of singles, most notably the iconic "What's Love Got to Do with It." That song has become so ubiquitous that few remember the actual first single off the album: a cover of Al Green's "Let's Stay Together." In addition to being one of the best versions of the soul classic, the song represents a crucial turning point in her career: the transition from Las Vegas nostalgia act to international superstar. To understand the significance of "Let's Stay Together," flash back to 1978. Turner had finally obtained a divorce from husband Ike, leaving her with little but her name. She slowly reconstructed her career though shows in Las Vegas and small clubs throughout the U.S., and augmented her flagging income through appearances on '70s variety shows. She did sign a deal with United Artists, but her two albums for the label--Rough and its disco-tinged followup, Love Explosion--failed to chart. Thus United Artists dropped the artist, who continued touring without a hit single. As Turner performed a show in San Francisco in 1980, Lee Kramer and Roger Davies sat in the audience. They approached her to become her managers, with Kramer serving as her manager and Davies her booking agent. At their urging, she hired a new band and skewed more toward rock and roll in her shows. In a savvy move, they booked her at the Ritz in 1981; that appearance led to gigs opening for Rod Stewart and the Rolling Stones. In 1982 she recorded a cover of the Temptations' "Ball of Confusion," which became a hit on the European dance chart. Finally David Bowie convinced his label, Capitol, to sign her for a singles deal. This event marked the beginning of Turner's reemergence. Her comeback began in 1983, when she reentered the studio for her second collaboration with members of the New Wave group Heaven 17 (who also helmed the "Ball of Confusion" sessions). The impeccably produced and arranged version prominently features Turner's bluesy vocals, proving that she still possessed a powerful voice. The song became a modest hit in the U.S., peaking at number 26 on the Billboard Hot 100 and number six in the U.K. Its accompanying video provides a snapshot of her then-live act, which featured two backup singer/dancers who mimicked Turner's patented moves--think the "Ikettes" updated for the late 70s and 80s. Just a few months later in 1984, "Let's Stay Together" would reappear on her album Private Dancer, but the second single, "What's Love Got to Do with It," became the monster hit. The rest, as they say, is history. While it may not receive as much airplay, "Let's Stay Together" stands among Turner's best work. Usually only a fool would take on Al Green's work, but she handles it with aplomb. Starting with a swell of keyboards, Turner's voice comes roaring in full blast. "Let me be the one you'll come running to," she wails, pleading with her intended lover. Interestingly, she departs from Green's version by beginning the song with the second verse, then returning to the first verse when the entire band kicks in. Soft congas permeate the track, with the rhythm guitar adding to the percussion. When she belts out key lines like "I'll never be untrue," and "Why somebody, why people break up?/ Oh, turn around and make up/ I just can't see," she infuses each word with passion and emotion. The arrangement compliments her voice and remains timeless, wisely avoiding the electronic drums and synthesizers that marred too many 80s productions. In other words, listening to Turner's soulful take packs as much of a punch today as it did 30 years ago. Tina Turner's catalog contains many high points, but "Let's Stay Together" stands out as an underappreciated treasure.